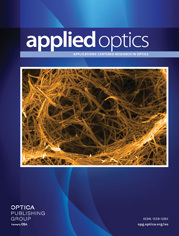 The cover shows the result of using the circular and octagonal mirror equations to extrapolate gradient data from a circular pupil to an octagon to a square for adaptive optics. The rabbit shows the structure of the reflections. For details see Hampton et al., pp. 4018-4030.